A full-service groom includes: a deep-cleaning bath and coat conditioner, brush, nail trim and file, ear cleaning and of course, a cut and style based on AKC breed standards or the style of your choice. Your dog will be with the same groomer from the the start of the groom to the finish. Our groomers work only on one dog at a time, no one is sitting around waiting for their turn. 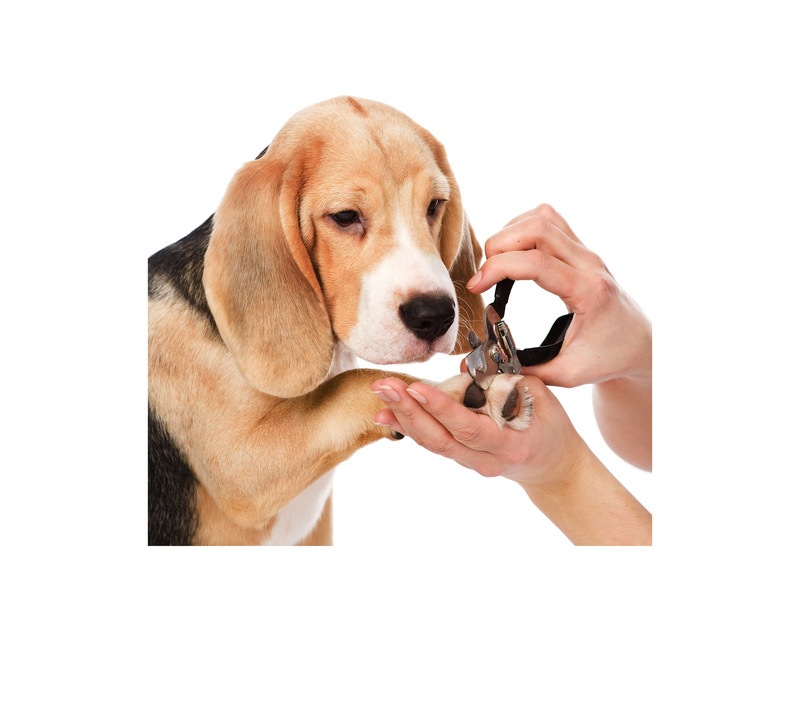 This one-on-one attention that your dog gets with his groomer creates and trusting and secure relationship. It’s fun to watch the dogs follow their groomer all around the salon while they are waiting for their ride home! 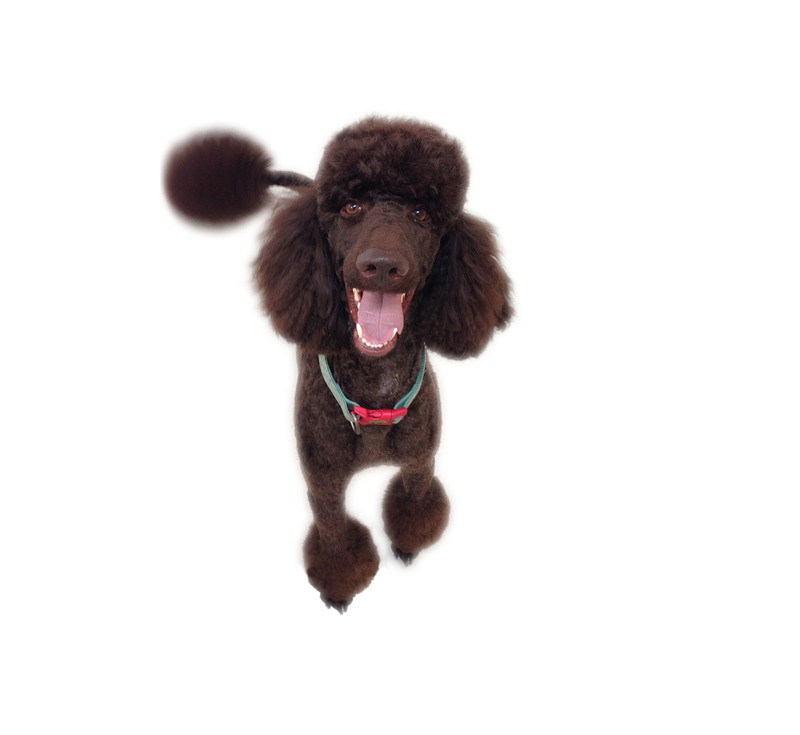 We do ask that you drop off at the appointment time and pick up as soon as your groomer calls you. The dogs know when their groom is over and get excited to go home. Your timely pick up will also allow the groomer to give one-on-one attention the their next client. Price varies with size, style and condition of coat. This Special groom for puppies six months of age and under includes the same services as an adult groom; bath and coat conditioner, brushing, nail clipping and ear cleaning, and coat trim. We spend extra time with puppies to teach them what grooming is all about. We want them to not be afraid of buzzy tools and to know how to stand still for the entire groom. Sometimes a puppy needs a short break or some play time to keep him happy, we plan for that in our schedule. 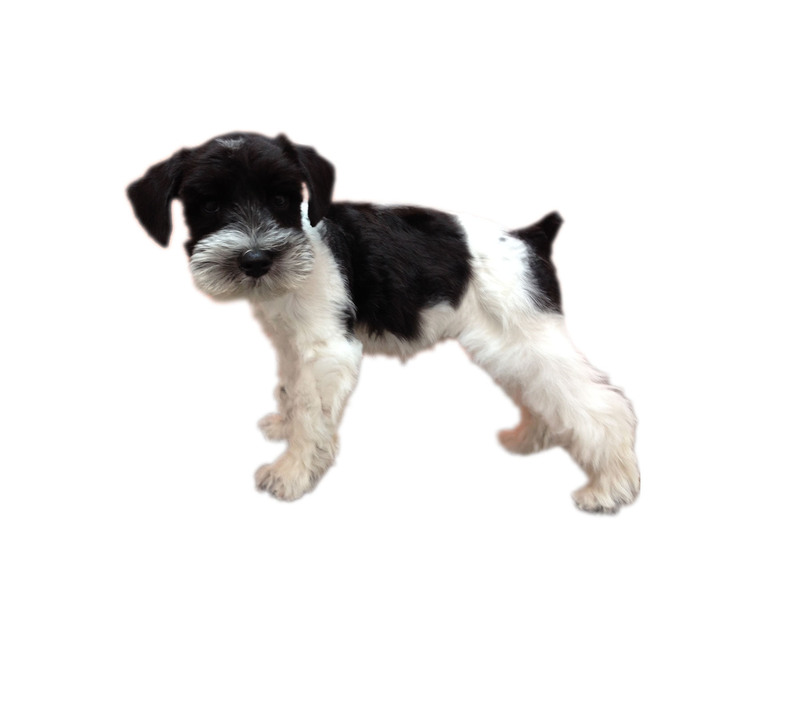 As soon as your puppy has had all the ‘puppy shots’ from your veterinarian, he or she is ready for the first grooming experience. The younger she is when we start teaching her about grooming, the more she will like it when she gets older. The first groom may consist of just a bath, nail trim, a ride up and down on our tables and a few treats to make it even more fun! Cats are special. 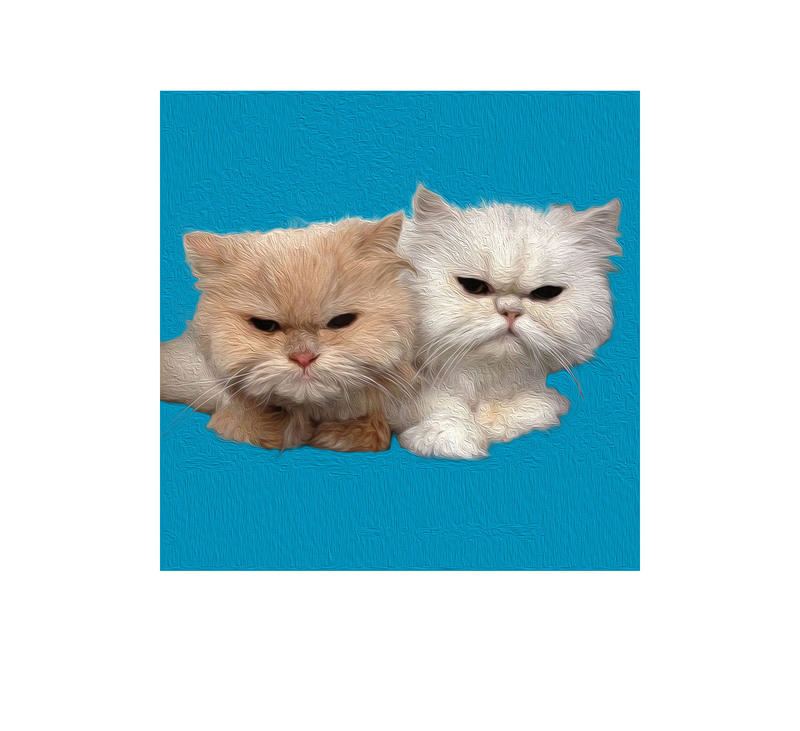 We have groomers that are very experienced keeping cats calm during their groom. Cats prefer to be groomed as quickly as possible so they can return home and resume their important cat duties. They also want a quiet and mellow grooming environment, so we try to schedule cats for the first groom in the morning or when we know we have very quiet and polite dogs in the salon. Cat grooms can be just a comb out and light tidy or a full ‘Lion-cut’. We can also give your cat a bath (if he is willing). Including the bath with the groom will lengthen the time your cat is with us, as we want to be sure he or she is totally dry before sending him home. All cat grooms include a nail trim and ear cleaning. Full groom price for a Lion-cut and a bath start at $65.00. Prices vary for comb outs or grooms without baths. Keep your bathroom clean and for the humans! 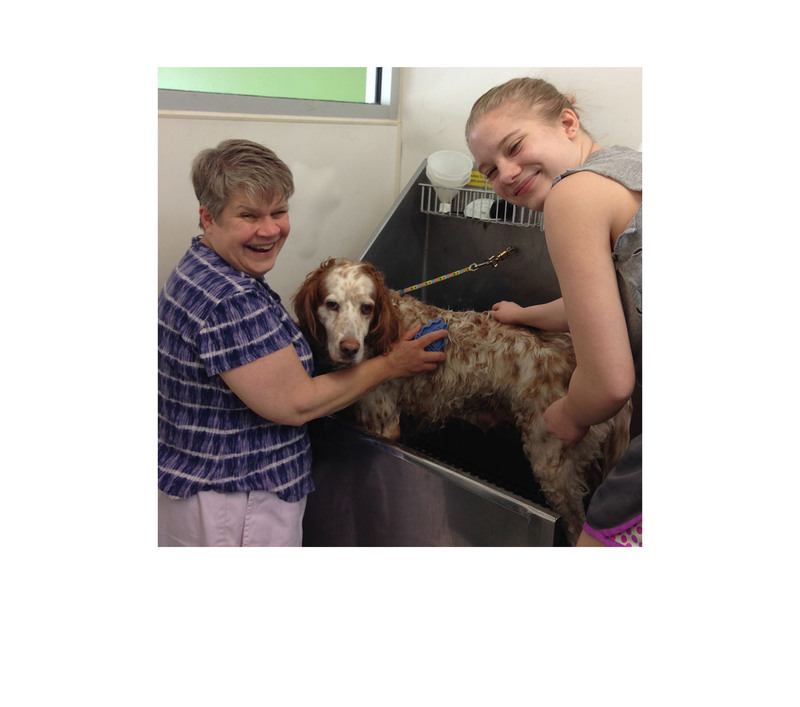 Come in on Saturdays, 9am-1pm, and use our tub and shampoo to bathe your own dog. This is a great way to bathe your smooth coated dogs, like Labradors, Hounds, Rottweilers and Pugs. You can also bathe long coated breeds like Golden Retrievers or Spaniels. No cats, Please! We provide the tub and the water, the shampoo and the towels. If you would like you can use our high-power dryers, which I would suggest especially for the long coated breeds or if is is cold outside. Please bring your own brush if you plan to brush out your dog. There is no appointment necessary. We have one tub to share, most people can get right in, other times there may be a 15 – 30 minute wait. Which is still better than cleaning up your house after your wet dog rubs on all the walls and furniture. Here ‘we’ clean up after you! Price for the Self-Serve Wash is $15.00 for each dog. Yes, we offer hand stripping at Rufus DuMonde! Hand stripping is for hard-coated breeds and some setters. It is not for all coat types. 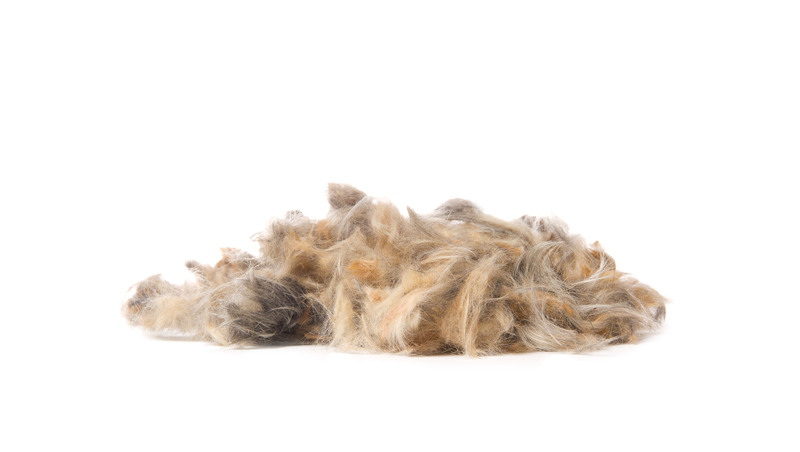 A hand stripped coat will enhance the color and texture of your dog’s coat, create healthy skin follicles and give the coat a more natural appearance. Hand stripping is a process of removing the dead hair without cutting or breaking it by using your fingers or a special stripping tool, allowing for a new, darker and thicker hair to grow in its place. When the fur is clipped (cut) instead of stripped or carded, the old dead hair (which sheds out in other breeds) along with oils and cellular debris can clog the follicle and cause sores and pimples. It is a time-consuming process and therefore more expensive than a clipped coat, but many of our clients believe it is well worth the cost. 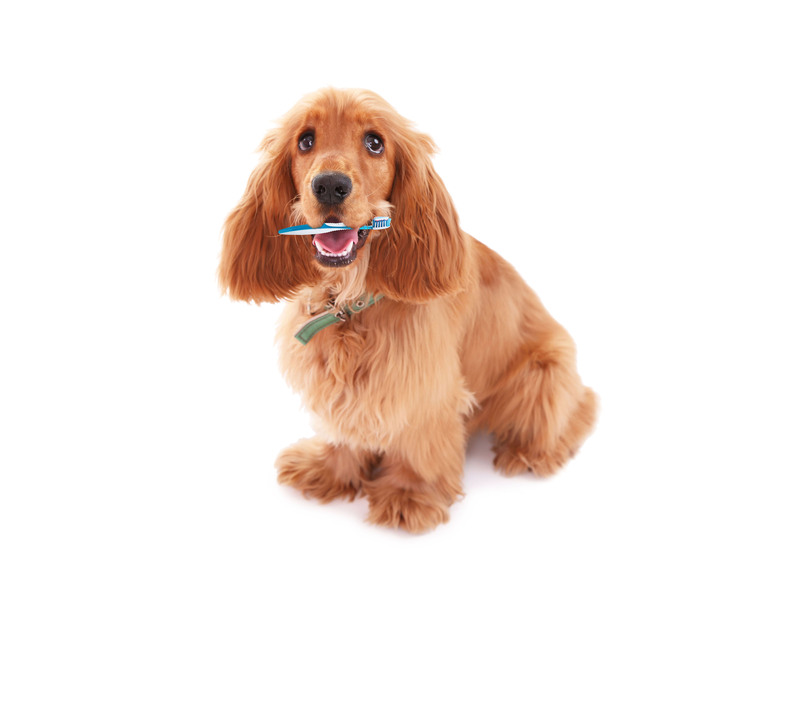 Keep your dog’s teeth clean and breath fresh with a tooth brushing. Your dogs teeth should be brushed daily, once a week at a minimum, hopefully you are doing this at home. Regular brushing will help to keep your dogs teeth and gums healthy. 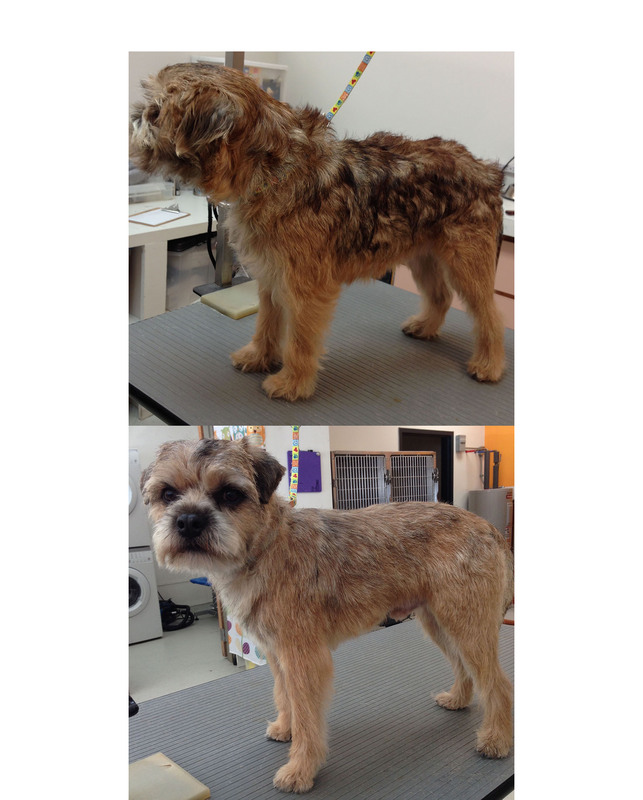 At Rufus DuMonde we can include a good brushing into your scheduled grooming appointment. Toothbrushing is $5.00 added to your groom price. Is your dog shedding like crazy? Many dogs “blow” their coat twice a year with the changing of the seasons. This can be a frustrating time for those dog families. To reduce the heavy shedding, your best bet is to get a deshedding treatment for your dog. At Rufus DuMonde we can help you with the shedding. We have a shampoo and conditioner treatment that will take a lot of that fur off right in our tub, we follow that with a drying and fur loosing process using our hand held power blowers, and finished up with a deep brushing. Leave the fur with us! Deshedding Treatment is $20.00 added to your groom price.